Nikon Ambassadors are some of the most talented and influential visual artists working in the business today. These gifted, spirited storytellers go above and beyond most, and are admired for their passion, energy and commitment to their craft. Their investment in, and trust, of the Nikon brand are cornerstones to their image making abilities. As a loyal Nikon partner, Nikon Ambassadors’ commitment and contributions to the photographic industry throughout their careers have influenced and inspired photographers around the world; while their desire to educate and empower other image makers around them has become a part of their daily business. From workshops to trade show platforms, online learning and social media; Nikon Ambassadors represent the most versatile and ambitious photographers today. These visual artists are respected around the globe for their vision and accomplishments. The dedication to advancing the art of visual storytelling while embracing and mastering the latest technologies and trends in the field are paramount to these photographers being selected as Nikon Ambassadors. As the top photography artists and visual storytellers of this era, these contemporary photographers' advanced techniques, unprecedented creativity and tenacious approach to imaging solutions is demonstrated assignment after assignment, each and every time they pick up a Nikon camera. The Nikon Ambassadors are authorized by Nikon to demonstrate to the public and professional image makers the capabilities and use of Nikon imaging products, but the expressive content of their work is solely their own. Nikon Ambassadors are independent contractors and visual artists and are not employees of Nikon. Nikon Ambassadors are responsible for the content of their photographs, websites, exhibitions, and visual images and the manner in which such content and images are obtained. Any messages, beliefs, or viewpoints expressed in the Ambassadors' photographs, websites, exhibitions, or visual images do not necessarily reflect the opinions, beliefs or viewpoints of Nikon or any Nikon employee. STORY TELLERS AT HEART For true artistic inspiration, immerse yourself in the stories and galleries of the globetrotting photographers of SanDisk's Extreme Team. This group of professional photographers travels farther and harder than anyone else to capture their very best pictures and videos. 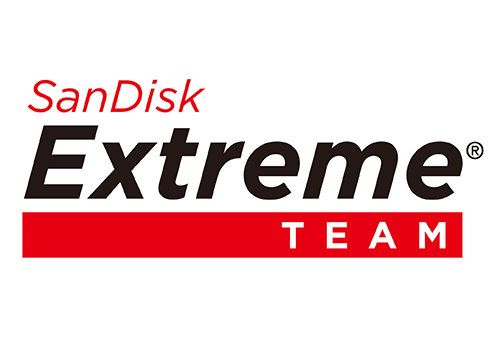 Using SanDisk's high-performance memory cards, the Extreme Team captures riveting images of exploding volcanoes, breathtaking ecosystems, and inspiring human stories from around the world.